Why do we train? Why do we spend time at the range? We train to enhance our skills, to discipline ourselves, and to advance. But most of all, we train so when the moment comes when we need to be effective and react, we will be able to do so with greater ease. The “fight or flight” mechanism will kick in, and we will have a split-second sometimes to figure out what we are about to do. Training can make some of the difference between reacting and not. Practice builds experience, which instills confidence. Whether you are participating in tactical/combat training, or just ordinary target practice, there are some things you are going to want close by. Your range bag is your personal inventory. 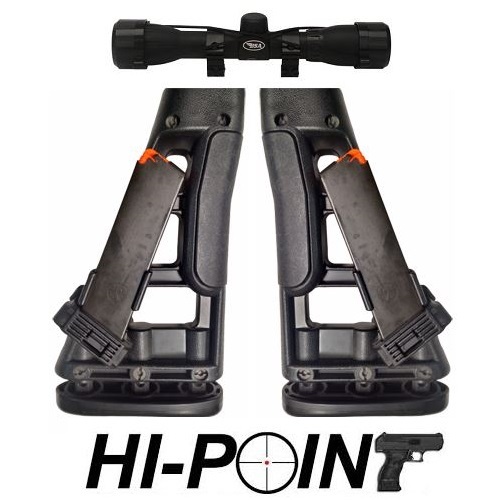 The shooting range may be able to provide you with certain pieces of equipment, sure, but when you train with your own gear, you develop a closer connection to that gear, and that is crucial. Just like cultivating a personal relationship with your everyday carry firearm is important, so is knowing your gear and trusting it. And that trust, be it with equipment or a firearm, comes primarily from experience. So, here is a quick rundown of the five more essential items to have in your range bag. These items or categories are not ranked in any real way, though the first two are safety-related, and are probably more important to some degree. Your eyes and ears need to be looked after. 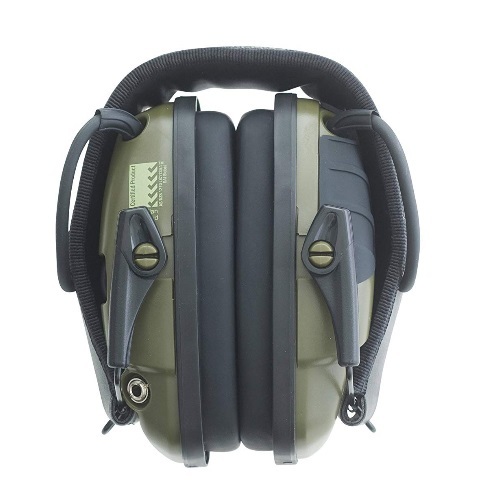 Anyone who has been to a firing zone or shooting range knows just how important eye and ear protection is. Ironically, these are two things you probably will NOT have when faced with an emergency situation. But you train with them at all times, because your safety comes first. Electronic or passive, single-use or regular – whatever your choice may be, you are going to need a good pair of buds, earmuffs, or headphones. As for shooting glasses, the design goes a long way. Some of them incorporate some external ear-protection in them as well. There are many lenses, a variety of colors and features. Choose something that you are comfortable with. Don’t compromise your shooting. Still on safety, and this time it’s not just you. Having a basic first-aid kit means that should something happen, you can be ready for it. One thing which the kit should include is a CAT tourniquet. This is one of the easiest and most effective tourniquets in the world, and it can save limbs and even lives. Other things the kit should probably include: gauze, bandages, antiseptic, medical tape, ibuprofen or aspirin, sling, Ace bandage, Benadryl (oral or external), and a cold compress. Unless you want to pay through the nose for ammo, you’d better bring some along with you. Not all ranges carry ammo to begin with, and it could very well be that the range you are at will not have the ammo you normally shoot. Also, spare mags in case of malfunction, or in the event that you’d want to perfect your reloading technique (an exceedingly vital skill). There are many reasons to bring your own ammo. There is nothing much worse than counting on the fact that there will be ammo available at a range, only to find out that nope, they just sold the last of your usual brand. This doesn’t mean that you will have to go home, of course. Buy the range ammo and use it, if it fits. But this isn’t something you’ll usually want to do. Money is always a consideration. Firearms and range time cost money, but there is no reason to spend more than you ought to. Targets, tape, sharpie/marker, staple gun, and staples. You want to see that group properly? Get a proper target, set it up, and have a way to mark it. There is no denying that firing a gun has a great element of fun and enjoyment to it, regardless of its intended purpose. Even after many years, I still get hyped about going to a new range or trying out a new weapon. Figuring out your groups and misfires will help you hone your skill and become a better shooter. And this is what we are striving for, really. To become better than we are today. Whether you are training for a competition or for home-defense purposes, hitting the target is what it is about. Lube/oil, related tools, cleaning supplies. A clean gun is a gun that doesn’t jam as frequently, and which provides a smoother shooting experience. You don’t have to clean your pistol every single time you are at the range, but it is a good thing to have in your bag nonetheless. Clean your gun, and keep it well maintained. Why? So, when something decides to hit the fan, you won’t be standing there with a gun that won’t fire or magazines that won’t properly slide into their designated spot. Keeping your gun in good condition doesn’t mean overdoing anything. It means giving it what it needs. Clean it, oil it, take care of it, so that when the time comes, you’ll be able to count on it. Many of us spend hours at the shooting range. So many hours. And if you want your time and money to be well spent, and to come out of there knowing that you engaged in the most beneficial practice, a well-stocked range bag is a go-to. Now, just to be clear, these five aforementioned categories and their items – they don’t sum up the whole thing. It is simply a short list of what we believe are the essentials. Other shooters will tell you otherwise. Feel free to go with what feels most right to you, in your situation. The important thing is that you end up with a positive shooting experience, that you don’t pay for unnecessary things at the range itself, and that you are able to look forward to your next visit to that firing line. Having your own gear, and setting your range bag in order, helps facilitate all of that, and – ultimately – proper practice is what turns you into a more seasoned and experienced shooter. Thanks for joining us here at Gunivore & Don’t miss our Top 3 Range Bags!